TreasureFest is a modern urban market for 15,000+ each month that houses around 400 curated vendors selling originally-made and designed items, artists, and antique/vintage collectors. Join in to celebrate the start of the Summer at TreasureFest. Brighten up your closets and living spaces with the latest trends in vintage apparel and home decor. 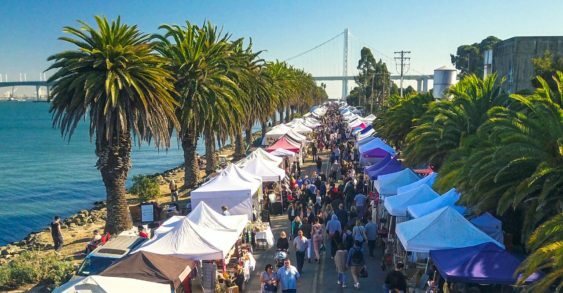 This weekend they’ll feature a special roster of 400+ curated summertime vendors. Plus happy hour 2-for-1 summer cocktails from 10am to 11am, live music, kids playland and tons more. RSVP on Facebook (Click “Going”) to enter to win a $100 spree. Winner announced Friday.